New Delhi: Through a written reply answer to the question in Rajya Sabha The Minister of State (Health and Family Welfare), Smt Anupriya Patel informed about the Government Programmes to Encourage Sterilisation. 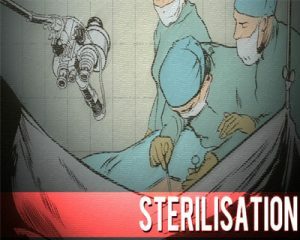 The minister informed about as per Government of India guidelines, sterilization can be conducted at established health care facilities with functional operation theatres. Health being a state subject, this list is maintained by respective State Governments. The Government has not commissioned any study on the reasons for this disparity as the Family Planning Programme in India is voluntary in nature and the Government promotes all family planning choices including female sterilization equally. It is the prerogative of the clients to choose a family planning method as per their reproductive rights and the Government provides the services free of cost in all public health and accredited private/ NGO facilities as per the demand. 1. ‘Vasectomy Fortnight’ is being observed in the month of November every year in all States of India to raise awareness on male participation and promotion of male sterilization. 2. Training of service providers in No Scalpel Vasectomy (NSV) to enhance the pool of service providers. 3. Under the enhanced compensation scheme for sterilization, the compensation for male sterilization has been substantially increased. 4. A 360 degree media campaign underlining the role of men in family planning has been rolled out to encourage men to adopt FP methods. Health is a state subject, and recruiting Male Health Workers is the prerogative of the State Governments.